Google Hangouts Increase efficiency with Google Hangouts. Video calling made simple. Have team meetings, share files and instant message, to get work done faster. Google Hangouts makes meetings easy! 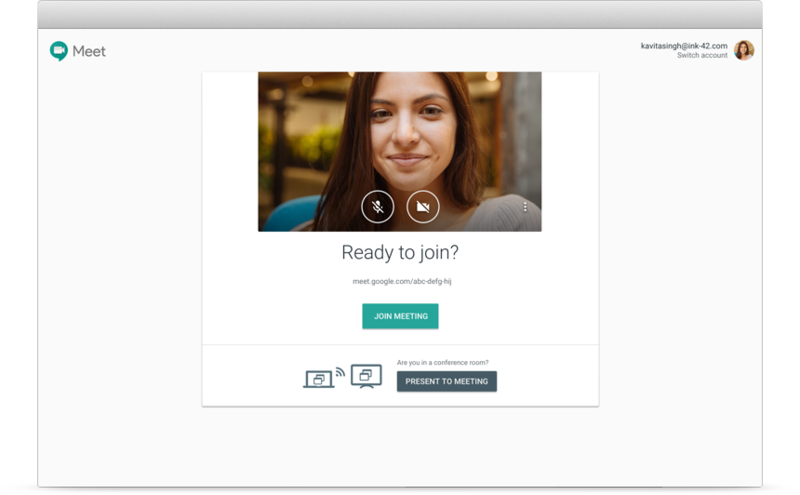 Google Hangouts makes work meetings less of a pain and more accessible to everyone in the workplace. Due to Google Hangouts, you’re not confined to the office or a boardroom table to meet with your colleagues. It is possible to hold a Google Hangout from your PC, laptop, tablet or mobile on any device, no matter where you are. Send a calendar invite with a link to a Google Hangout and transform the way you host a meeting. Work meetings don't have to be a pain with Google Hangouts. You are no longer confined to the office or a boardroom table to meet with your colleagues or clients, as you can hold a Google Hangout from your PC, laptop, tablet or mobile. Send a calendar invite with a link to a Google Hangout and start to transform the ways you meet. Quick catch up or company conference? Use Google Hangouts to have up to 25 participants in one call. Google Hangouts has so many fantastic features. These include; features such as presenter mode, screen sharing, instant messaging and more. These features make Google Hangouts a powerful productivity tool for your workplace.